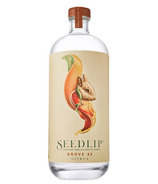 Founded by Ben in his kitchen in the woods, with a copper still & copy of The Art of Distillation to continue his family's 300 year farming ancestry & change the way the world drinks. In the 1600's Apothecaries were using small copper stills to make non-alcoholic herbal remedies. This alchemy was documented in The Art of Distillation published in London in the year 1651 & is now re-purposed for the modern day.Mother Earth is gracious, precious & ingenious. 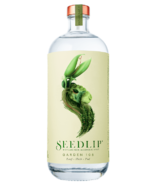 In honour of this wild & natural world, only the finest ingredients are harvested & individually cold macerated, distilled & then blended to capture nature's true spirit in Seedlip products.